The prospect of a trip to The Bahamas in January sounds rather more appealing than a month of rain and wind in Britain and you could be enjoying a holiday in the sun courtesy of PokerStars. 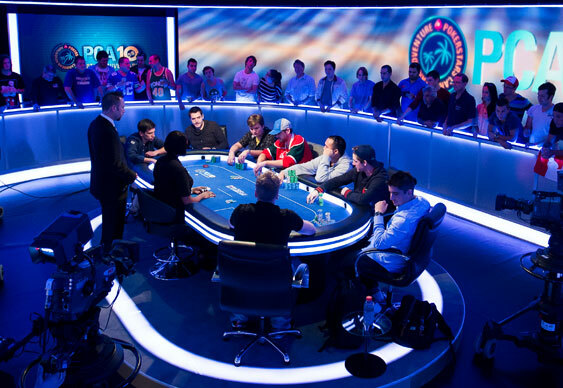 The PokerStars Caribbean Adventure takes place at the stunning Atlantis Resort from 5-13 January, 2014 where many of the game's biggest names will be battling it out for millions of dollars in prize money. The site is offering packages to the PCA worth $15,460 that include buy-in, spending money accommodation. Mega Path satellites start from just 10 FPPs or one whole dollar. You can buy-in using FPPs and make your way up the steps to Round 8 where you get to play for a seat in one of the six Mega Path Finals, each with PCA packages up for grabs, including Main Event buy-in, hotel and expenses. You can also buy-in directly at any round, which means you don’t have to start at the beginning. Dimitar Danchez was the big winner at the 2013 PCA. The Bulgarian pocketed a first prize of $1,859,000 after outlasting a field of 987 runners in January.